Well here it is. Just a couple of videos, but when watched back to back provide some of the cleverest stuff Nintendo has ever done, and this includes Tingle. 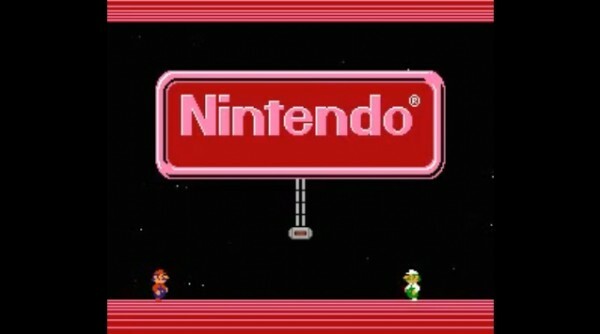 This first video is of the start up screen to Nintendo’s Famicom Disk System. If you haven’t heard of it, don’t worry, it never came state-side. What we are really interested in here is the first ten seconds or so (but watch the rest because it’s neat). Got that? Ok, now check out this one, and prepared to be blown away. Now that’s what I’m talkin’ about. How cool is that that twenty years later someone thought, “you know what would be cool? Remember the melody to this thing we made two decades ago? Let’s put that into this new machine, but make it really slow so people won’t figure it out for years.” You just know a room of people over in Japan all just nodded in contemplative appreciation about that. So cool. And furthermore: the “mushroom powerup” sound from Super Mario Bros. is nothing more than a quick version of the “slide down the flag” sound. WHAT? We need to keep an eye on these Nintendo people.